Halloween is almost past and Thanksgiving is getting closer. Which means Christmas and the January Meeting, along with the White Elephant Gift Game (Never figured out why it's called a White Elephant Gift Game). So having started the ball rolling, here we go. The meeting began on IPMS October 21, 2016 after 7:00 PM at the Ft Harrison Veterans of Foreign Wars Post 7119. The meeting went very well and our VFW hosts were extremely gracious. They would not mind us making their place a permanent meeting site. Coordination was through Kevin Burns, who sadly, could not be present. A slide show was presented at the meeting from the recent Cincinnati, Ohio model contest and other locations such as TN Air Museum. March 11rd 2017 is the contest date. So that means we need to start planning and getting the word out. Various groups and clubs at Raymond Park Middle School have offered to help set up and tear down for the March Show 2017. We need to shop around for table rental vendors in the area and see if we can land a better contract. Tom Choy is making and selling paint pot holders for charity, call him if you want some. If we decide to move form the BCBS Cross Roads Center to the VFW or elsewhere. A few things would need to be considered. One would be an annual of long term contract with the venue. The other item would be if the site has no rent, would it be prudent to offer or make a good will donation on behalf of the Chapter. That can be discussed if we decide to make it or anyplace a permanent site. 2018 school schedule for Warren Township is out and posted on the public access website. Good info for advance heads up regarding contest dates. Hint, hint. The November 2016 meeting is scheduled to be held at the Crossroads Boy Scout Center at 7:00 P.M. On November 18, 2016. If we decide to do Pizza for the December meeting it is fine to have it delivered to VFW, if we meet there in December 16, 2016. Earl Moore had Ed Sexton of Revell Monogram visited his store. If you want something made or brought back Earl can contact him for a line in to Revell Monogram. Apparently Mr. Sexton is a Revell USA Exec. Regarding the January 20, 2017 meeting, first we need to decide where it will be held. Traditionally, it's been convened at the Castleton MCL Cafeteria. I've looked for the rules and they've been committed to the ether, so here goes. People who wish to participate need to bring a wrapped or suitable camouflaged gift. Ballpark is about $25.00 value. These will be piled onto a table. The Umpire, MC, Dungeon Master, whatever, will pass around a box containing numbered lots. Each player will draw a lot and that will be their position in the rotation. Player #1 will select a gift from the table and show it to the group. Player #1 then sits down with the gift at their location and it becomes Player #2's turn. Player #2 can take a gift from the table and repeat the actions of Player #1. However Player #2 can take the gift from Player #1. A colored tag is then prominently affixed to the gift and Player #2 sits down. Player #1 must then go to the table and select a new gift from the table and repeat the initial action. Player #3 then can select a gift from the table or pinch the gifts from either player #1 or #2. If Player #1 or #2 has their item stolen, they can can select an item from the table or take a gift from another player. The player who just had an item taken, cannot take the pilfered item back until their next turn on deck, if that item has not yet been locked. An item can only be taken three times and then it becomes locked and not stealable. Recommendation, the sillier the game gets the more fun it becomes. So antics and hi-jinks are encouraged short of out and out food fights or donnybrooks. This player rotation continues until all players have gone and by mutual consent the gifts are set. Any unopened gifts left on the table will go on the Chapter sales table of the Raffle Table for the March Contest at Raymond Park Middle School. David Leffler: Bandai Gundam kimara trooper made up to look like the Joker. He added Heroclix gaming figures to the Mecha. Scratchbuilt touches added to the model. The big hammer is scratchbuilt. Steve Pavey: 1/144 Scale MSM-O3/C Hygog Mecha by Bandai. Idol of Cthulu 28mm resin by Kabuki. Night Spectre by Reaper Miniatures. Doug Oliver: Airfix 1/72 scale Me-110. Did a lot of new techniques on it; washes drilled gun ports & exhausts, airbrushed the out of the box kit. Doug donated plastic plaques that are scrap but have many uses. Thank you Doug. Lance Sellers: Crypt Keeper 'Screamin' vinyl brush painted with acrylic dry brush and washes the hair is glued with white glue and came with the kit. Assembled using superglue. Tom Choy: Italeri 1/72nd SU 47. A 20 year old kit and was a real challenge started as a weekend build two weeks ago. It's out of the box and was problematic as parts did not fit very well. Steve Bacon: Dragon 1/35 th Panther A, aftermarket track weathered with brass. Built in 2014-15 for the Columbus Nationals has lots of after market parts and extensively weathered. He entered it in the Cincinnati show and won a 3rd Place in his class. A new product from Shapeways 3d Printing. They are making OVM Clamps for vehicles. Steve brought in examples he bought at the Cincinnati contest. 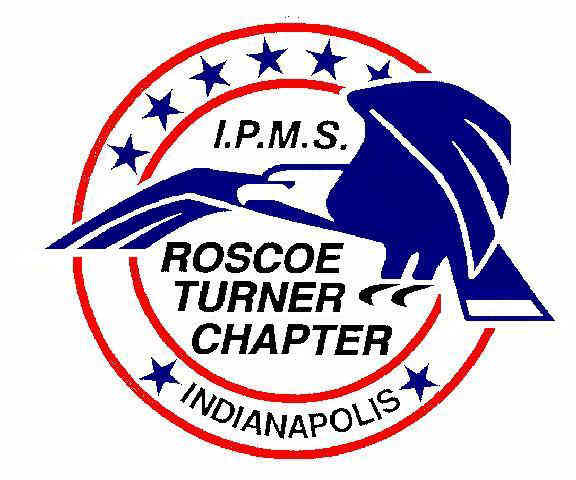 Don't forget the November 18, 2016 Chapter Meeting at the Crossroads Boys Scout of America Center, starting around 7:00 P.M. Please attend if you are able as there are a number topics to cover. See you there.